We’re SO obsessed with Ranveer Singh - it’s quite clear by now, isn’t it?! If you don’t know this yet, we’re more than ready to scream and tell the world that WE LOVE HIM! 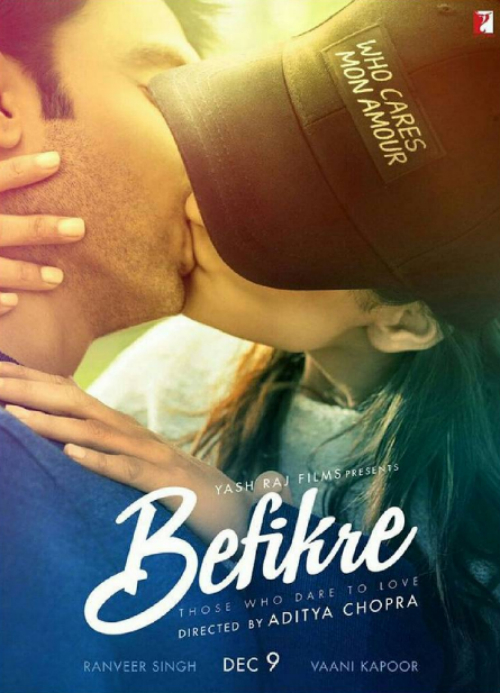 These posters of his upcoming movie “Befikre” came out and trust us, no one could have cried as much as we did - we’re so jealous of Vaani, we wish we could swap lives with her *sigh*. But, okay, the posters are just so amazing, we don’t even need to watch the trailer of this movie to decide whether we should watch it or not. We’re already waiting for it to release on 9th December. If you find some crazy fans on the first day, first show of the movie, whistling loudly… Don’t think twice, that would be US! And, also we might recreate these pictures with our boyfriends, because they are super-duper AMAZING! Image: Ranveer Singh on Instagram Also read: Chhutti With Besties – Nargis Fakhri’s Vacay Pics Are AWESOME! 2. Okay, so this is how we should kiss when we’re at a beach?! Noted! 3. Can someone Photoshop our face on Vaani’s body here? Please?! Image: Vaani Kapoor on Instagram Also read: This Celeb Couple’s Amazing Holiday Pics Will Make You SIGH! Image: Ranveer Singh on Instagram A place where girls can talk about ANYTHING. (No guys allowed!) ? ? Get the POPxo app NOW on Play Store and iOS App Store.